U Can't Anvil The Truth: Van Massacre Barcelona Citizens Acting Badly!! 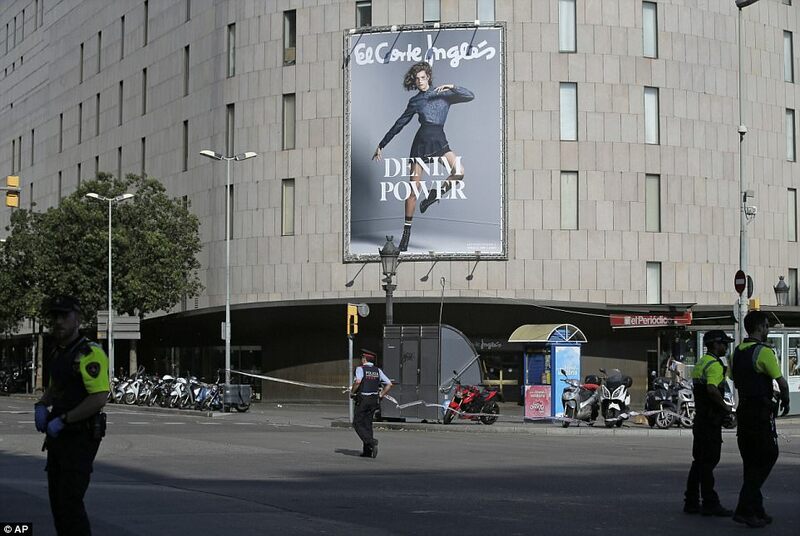 ISIS has claimed responsibility for the massacre of 13 innocent pedestrians in a terror attack in the heart of Barcelona that left more than 100 injured, ten of them critically. 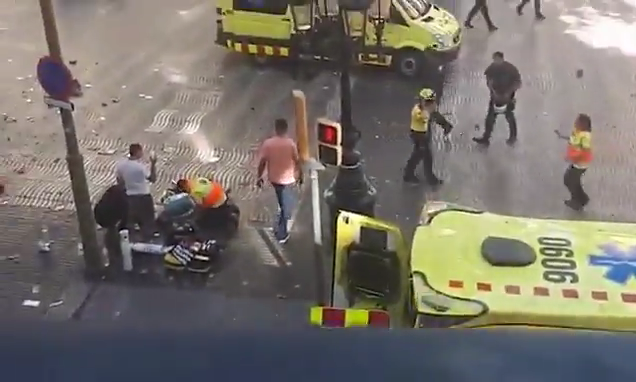 A rented Fiat van was driven into crowds in the tourist district of Las Ramblas yesterday afternoon before the driver escaped on foot. Investigators believe the atrocity is linked to an explosion at a home 70 miles away which happened 24 hours earlier. claimed. It is thought the address was being used as a bomb factory, and that the terror cell responsible for yesterday's attack planned to fill the van with explosive butane canisters. Two hours after the mass killing a man was shot dead after driving through a roadblock on the outskirts of Barcelona, injuring two police officers, including one who suffered a broken leg. He is now not believed to be linked to the attack. I was curious to see numerous unclear pics in the news article which lead me to decode the BLURRED PHOTOGRAPHS and the results are as shown above. That aside...the two decoded photos shown conclusively that the Barcelona Incident was a staged event meant to mock the Goys...that’s everyone else except Zionist Jews.